A Japanese journalist has been living in the Moscow airport of Sheremetyevo for two months, informs the Russian TV channel “NTV”. 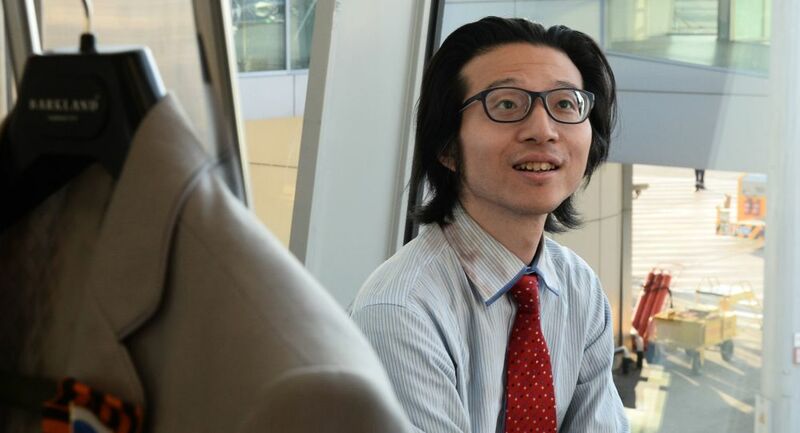 According to the airport representatives, the citizen of Japan, 36-year-old Abo Tetsuya, stays in the Transit Zone completely on his own financial means. The Japanese journalist intends to get Russian citizenship. He already applied for help. Mr. Abo Tetsuya says he doesn’t want to return home due to political pressure and unbearable conditions for telling the truth as a journalist. It has become impossible to tell the truth in Japan. Of course, in America it’s the same situation. Those who tell the truth there lose their jobs; they feel pressure, Abo Tetsuya says. The man came to Russia with tourist visa on May 1. On May 29 he was to leave the country for Japan. On the date Mr. Tetsuya arrived at the airport Sheremetyevo, registered for his flight, got his boarding pass but decided to miss the plane and stayed in the waiting zone. According to the airport officials, they have no legal issues against the Japan’s citizen to take him out of the transit zone. The journalist observes all the rules and laws making the living off his personal funds. However, it is not known where he gets the money from exactly. In 2008 another Japan’s citizen was staying in the airport of Mexico. He was eating whatever other passengers were giving him. The man succeeded to become a real celebrity. Passengers of the airport were taking photos with the Japanese traveller, journalists and reporters were making lines to take an interview from him. The man stayed in the transit zone of from September 2, 2008 to December 31, 2008. On the New Year Eve he was noticed in a company of an unknown woman going to Mexico. However on the same day he was back.